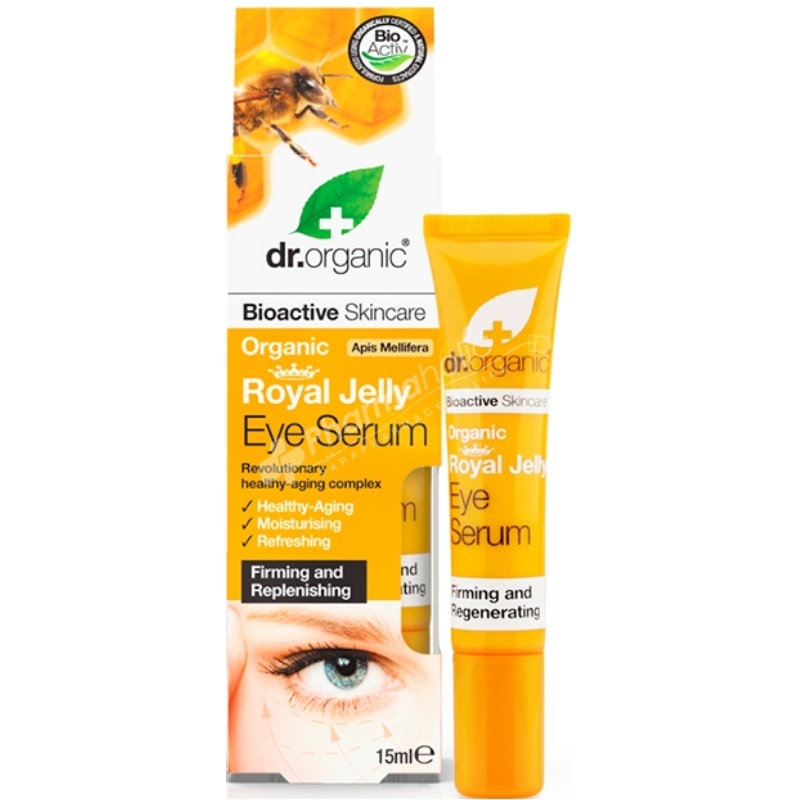 Royal Jelly's epigenetic properties make it a revolutionary bioactive ingredient, perfect in natural skincare. Combining this unique action with a blend of moisturising bioactive, natural and organic ingredients provides an unrivalled serum ideal for supporting the appearance of the delicate skin around the eyes. Aloe barbadensis leaf extract, Aqua (water), Glycerin, Glyceryl stearate, Cetearyl alcohol, Caprylic/capric triglyceride, Cetearyl glucoside, Dicaprylyl ether, Gossypium herbaceum (cotton) seed oil, Xanthan gum, Panthenol, Carica papaya seed oil, Camellia sinensis (green tea) extract, Propolis, Centella asiatica extract, Maltodextrin, Silica, Polygonum fagopyrum seed (buckwheat) extract, Sodium stearoyl glutamate, Royal Jelly extract, Mel extract, Trifolium pratense flower extract, Calluna vulgaris flower extract, Ascorbic acid, Parfum, Juniperus virginiana (cedarwood) oil, Citrus medica, limonum (lemon) peel oil, Pelargonium graveolens (geranium) oil, Pogostemon cablin (patchouli) oil, Citrus aurantium amara (bitter) orange leaf oil, Santalum album (sandalwood) oil, Dehydroacetic acid, Benzyl alcohol, Chlorphenesin, Sodium benzoate, Potassium sorbate, Citronellol, Hexyl cinnamal, Hydroxycitronellal.